Hello everyone, I know I haven’t been good at keeping you guys updated. For this I apologize and will try much harder to blog for you guys. A lot has been going on these last few weeks. It seems there is always something that needs to be done. At the end of May we had our first missions team come and stay with us. It was amazing to be there, watch them grow closer with the Lord, see their lives being spoken into, and having them take the time to speak into mine. We went to Timbó ( a village along the Amazon River) with the missions team. All I can say is “WHAT AN EXPERIENCE”! There are so many beautiful children in this village. We got the chance to go and love on all the children( for those of you who know me know that I have a very big heart for kids). 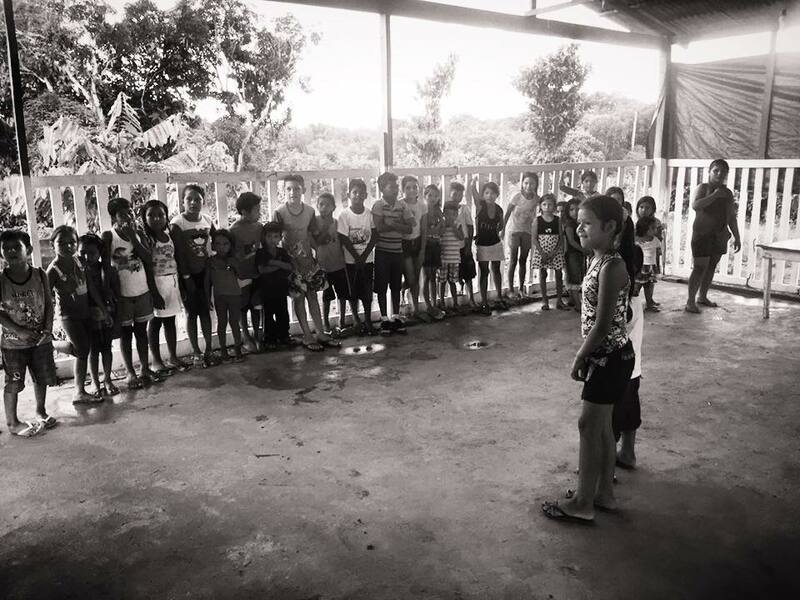 On one of the days we got to teach them a game and teach them what it is like to hear the voice of God. Also, we went and walked house to house and just talked and prayed for the families. Nothing makes your heart happier than someone being so welcoming. My favorite memory was when we were inviting a family to the church for a game and she asked us to come in. I don’t know how to describe this very nicely but we were NASTY! It is the rainy season here so that means lots of mud. We were all covered in mud that we couldn’t get off of our shoes. It was so hot that day we were wet as if we had just gotten out of the shower. I remember very clearly we all just stood and starred at each other. We didn’t know what to do and we felt bad. She started to open the door and smile at us. I know for me at that moment I knew that was where God called us to be at that exact moment. I said ” We are very dirty and muddy” She said ” It is okay. I will clean later”. As we walked in there I could see little kids starting to slowly come out of their room. I was amazed by the love in that house. When we prayed for this women the kids gathered around and closed their eyes. Heart touching moment! God is good and is always showing His love for us. We just have to open our eyes and see His love.